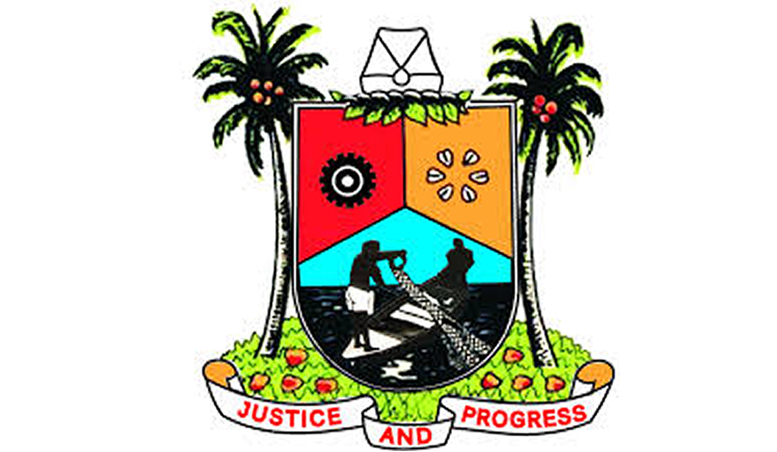 The Lagos State Government on Tuesday said a total of 1, 340 beggars, destitute and mentally challenged persons were rescued off the streets of Lagos in the last one year, just as it said about 73, 664 patients were screened and helped to trace their homes through various media platforms. Speaking at the ongoing 2016 Ministerial Press Briefing held at the Bagauda Kaltho Press Centre in Alausa to commemorate Governor Akinwunmi Ambode’s one year in office, Commissioner for Youth and Social Development, Pharm. Mrs. Uzamat Akinbile-Yussuf said the Government, in the period under review, released and re-united 590 rehabilitees with their relations for re-integration, while 1, 228 persons were rehabilitated at the Rehabilitation and Training Centre in Majidun. Commissioner for Youth & Social Development, Pharm. (Mrs.) Uzamat Akinbile-Yusuf (middle), with Commissioner for Information & Strategy, Mr. Steve Ayorinde (left) and Permanent Secretary, Ministry of Youth & Social Development Mr. Hakeem Muri-Okunola (right) during the Y2016 Ministerial Press Briefing to commemorate the First Year in Office of Governor Akinwunmi Ambode, at the Bagauda Kaltho Press Centre, the Secretariat, Alausa, Ikeja, on Tuesday, April 26, 2016. Akinbile-Yussuf, who addressed the briefing jointly with the Permanent Secretary in the Ministry, Hakeem Muri-Okunola, said many of the rehabilitees were subsequently placed on vocational training to make them contribute positively to the society, adding that 43 drug dependents rehabilitees, who probably had lost hope, were restored back to their functional ability and another 20 placed under vocational training at the Rehabilitation and Vocational Training Centre in Isheri. 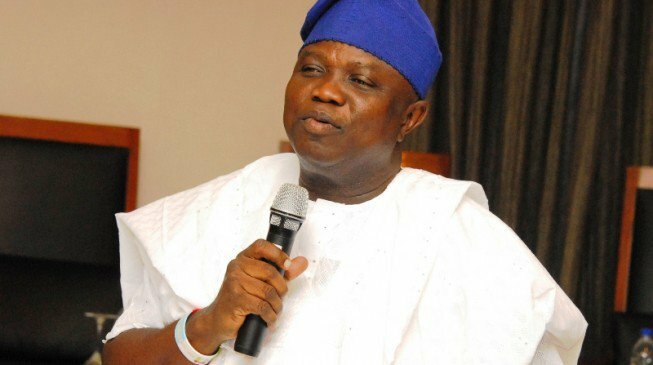 The Commissioner, who reeled out many other social interventions which the Ministry embarked upon in the last twelve months, said the development was part of the vision of Governor Ambode to create an environment that is safe, conducive and prosperous not only for investors but the citizenry in general. Besides, the Commissioner reminded residents that the law banning street trading and begging is very much in force in the state, warning that government would not hesitate to apply the full wrath of the law when necessary. She said: “In the last one year, the Lagos State Government under the leadership of His Excellency, Mr. Akinwunmi Ambode recorded many achievements in the area of social welfare and for instance, I can categorically tell you that a total of 634 Juvenile cases were successfully handled under the Family Social Services, while a total of 110 applications for adoption were successfully screened. “Also, 150 reputed cases of sexual abuse and physical abuse were treated, while five pregnant school children were assisted to access adequate antenatal and delivery services. They were also assisted to be integrated back to school,” Akinbile-Yussuf said. In the same vein, the Commissioner for Women Affairs and Poverty Alleviation, Hon. Lola Akande, while giving account of stewardship of her Ministry in the last one year, explained that the Ministry in its continuous child prevention, rescue and rehabilitation programmes successfully treated about 589 cases ranging from sexual abuse, physical abuse and child labour cases. Commissioner for Information & Strategy, Mr. Steve Ayorinde (left); Commissioner for Women Affairs & Poverty Alleviation, Hon. (Mrs.) Lola Akande; Permanent Secretary, Ministry of Women Affairs & Poverty Alleviation, Mrs. Nike Odunwole and Director, Public Affairs Office, Ministry of Information & Strategy, Mrs. Toro Oladapo during the Y2016 Ministerial Press Briefing to commemorate the First Year in Office of Governor Akinwunmi Ambode, at the Bagauda Kaltho Press Centre, the Secretariat, Alausa, Ikeja, on Tuesday, April 26, 2016. She said the Ministry also received 382 cases of domestic violence out of which 234 cases were successfully treated, which among others include physical and emotional pains, harm, injury, humiliation and degradation, permanent and partial disability, separation, divorce and needless loss of precious lives. L-R: Permanent Secretary, Ministry of Women Affairs & Poverty Alleviation, Mrs. Nike Odunwole; Commissioner for Information & Strategy, Mr. Steve Ayorinde; Commissioner for Women Affairs & Poverty Alleviation, Hon. (Mrs.) Lola Akande and Director, Public Affairs Office, Ministry of Information & Strategy, Mrs. Toro Oladapo during the Y2016 Ministerial Press Briefing to commemorate the First Year in Office of Governor Akinwunmi Ambode, at the Bagauda Kaltho Press Centre, the Secretariat, Alausa, Ikeja, on Tuesday, April 26, 2016. While fielding questions from journalists, Mrs. Akande tasked members of the society to come up with useful information on sexual violence not only against women, but men and other social vices including any suspected illegal baby factory.